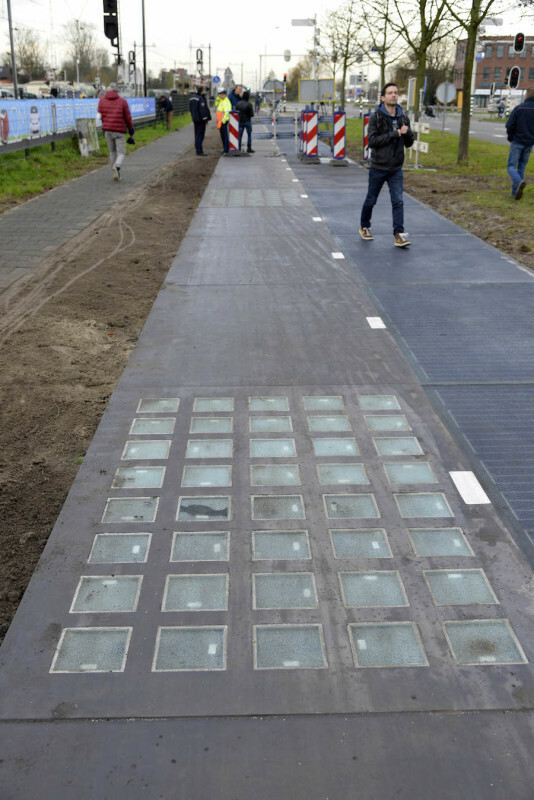 Bike path in pieces: Skeptics dismiss Dutch solar bike path SolaRoad as inefficient "cash grab" - Archpaper.com Bike path in pieces: Skeptics dismiss Dutch solar bike path SolaRoad as inefficient "cash grab"
Naysayers have rained criticism on Dutch Solaroad solar bike path system. In the first six months of operation, it reportedly overshot energy production expectations to the collective glee of engineers. However, self-described “scientists” are taking it down with numerical rhetoric, namely the cost and inferior production capacity relative to rooftop solar panels. Last year’s pilot test ate up $3.2 million in investor funding for a 230-foot stretch of concrete, and SolaRoad remains tightlipped on the cost per square foot. Danko then uses a PvWatt’s calculator by the National Renewable Energy Laboratory to compute solar output in the winter months from November to April in the Netherlands versus a rooftop in sunny San Jose, California during the same period. In Amsterdam, the power capacity comes to about 4,600 kwh in lackluster sunshine, while no-quit California rays churn out 10,000 kwh for the same rooftop coverage. Does all the pooh-poohing of SolaRoad get any more intellectual than Why didn’t you put these on the roof instead? 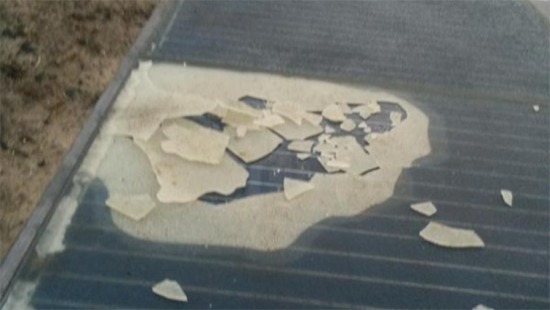 The tempered glass-coated concrete modules have been known to break due to climate. In its first month of operation, a 3.3-foot patch of the 230-foot stretch was deactivated due to breakages, although the remainder of the path remained operable. Sten de Wit, a physicist involved in the development of SolaRoad, defended the idea of a solar-powered bike path in an interview with AFP. “The idea is that we have approximately 140,000 kilometers (87,000 miles) of road, which is much bigger than all the rooftops put together. We have 25,000km (15,543 miles) of bike paths in the Netherlands,” he said. 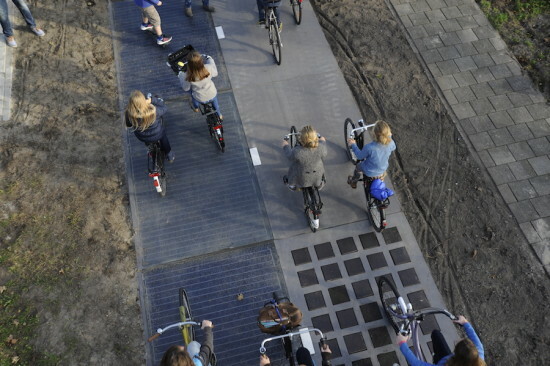 The only trouble is that bicycles and solar power don’t really have a lot in common.